Although it is cheaper, as well you don't need to dispose your old phone, opt for a dual-chip adapter is not recommended. 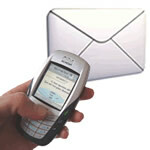 You can include two SIM cards in an ordinary GSM handset, originally made with a single slot. The problem is that, for this to work, you must cut the plastic part of their chips (leaving only the gold piece) and include them in an adapter that has the size of a standard SIM card, but it has two chips fit simultaneously. There is also a kind of adapter that does not require that the cards are cut, allocating the entire SIM one above the other, but it's not so easy to find one of these. The adapter is very cheap, works with virtually any device and can be found at electronics stores both physical and virtual. By including specific software, to be seated in the slot of the phone it automatically installs a menu in the device by which the chips can be configured. However, a cell with dual SIM card adapter allows to use only one number at a time to perform functions such as call or text messages. And as the exchange must be made through this special menu, it is often necessary to reboot the phone. Another disadvantage is the extra expense of batteries. With it, a battery charge normally lasting three days, for example, goes flat in only 24 hours. Even with the solution of the adapters, the new fashion mobile phones on the market are the models that originally have a dual-chip. A variety of devices is huge: there are dual SIM handsets very simple and inexpensive, others more sophisticated, and even smartphones with popular systems like Android and Symbian. These units have different characteristics in relation to their way of enabling a SIM card. First, the method of fitting the card is different in the models. While some have separate entrances for the chips at the back of the device - just behind the battery - others provide only a small space where the two SIM are embedded one above the other. There are also devices that leave the compartment of the second chip in a separate place, as the side of the device, near the entrance of cables for USB connection. Sending messages on a mobile phone with dual-function chip is very simple, but some devices have ways of sending more practical than others. This is the case of the Motorola Fire Android smartphone, which provides a simple interface to enter the SMS, and when you are about to send a message there are two buttons ("SIM 1" and "SIM 2"), to choose by which number you want to send the message. Nokia 200 Asha Symbian has a great limitation, since you need to choose which function menu will give each chip. Therefore, there is a pre-defined number which is used to send text messages and which is used for the connections and the Internet by default. Of course you can change it whenever you want, but it is very unpractical to change the settings every time you want to send messages with different numbers. In relation to voice calls, there are different ways to choose which chip to use. The Android phone LG Optimus Dual Net, for example, has a button that serves only to make the switch SIM cards. Thus, before making a call or sending a message, you simply press the shortcut to all the functions performed by a specific SIM, with the exchange taking place in a few seconds. However, other models have two physical buttons for "Power", one on each side of the unit. So, you type the phone number normally and press the "Connect" referring to the chip with which you want to make the connection. 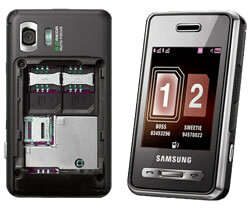 The configuration of the Internet in the dual-SIM phones are the one that is very similar on most devices. Like surfing the web is usually a very fast action, it is difficult to choose which chip will be used the data packet every time the user wants to connect. Thus, the pattern of mobile phone models makes you pre-set the SIM card that gives access to the Internet, while the switch can be made through the menu settings. For phone calls from Argentina to another countries the best to use Partner calling card. If you are live in United States and often call abroad you need take note to CheapStreet telephone cards. Partner phone card is the best way for all peoples to make international calls from Russia. I can’t imagine life being without dual sim card. With the help of this card, I am able to save enormous amount of money every months, as different operators have diverse advantages. I completely agree with an author, that use of the dual sim card is very simple.